Jade Asian Sauces have been made by a small Bay Area company since 1983. Each sauce combines a unique flavor profile with intense flavor. A little goes a long way! 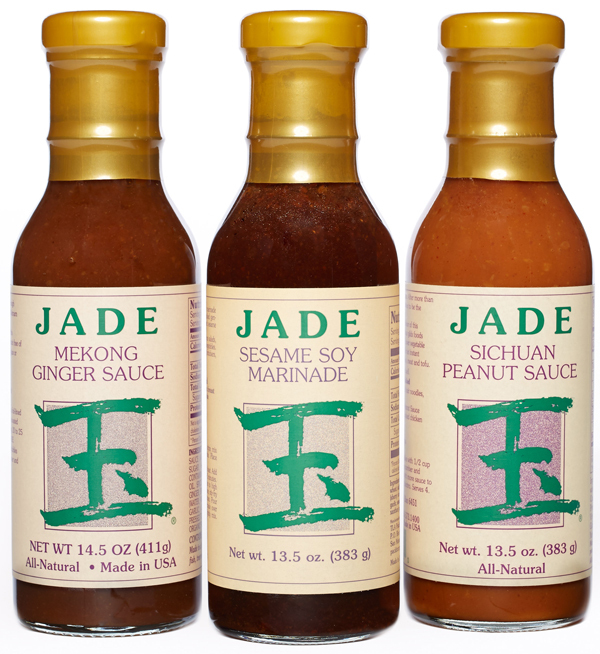 Jade prides itself themselves on their distinctive taste and quality. Initially only available through specialty retailer Williams-Sonoma, Golden West Specialty Foods is now bringing Jade Sauces to gourmet and specialty retailers throughout the USA.